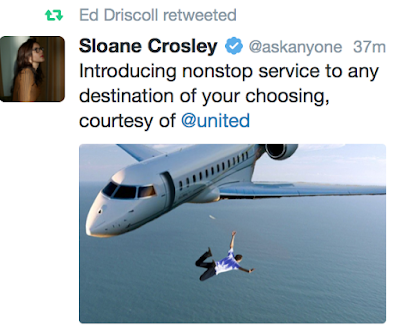 You may have seen the latest news about United Airlines. The illustration below represents the next inevitable step in the degradation of U.S. airlines. Because of their terrible customer service, this, and other indecencies, I fired them in April, 2013, after 19 consecutive years as 1K or Premier Executive. While I still have to fly them once in a while (when there is no other practical choice), I can say I certainly don't miss them! You do realize that, by 'firing' UA, you've actually increased your odds (slim that they are) of being involuntarily bumped.